These patients underwent bare sclera pterygium excision with intraoperative mitomycin 0.02% applied topically for one minute. At the 4-week post-operative reviews, the patients complained of the following appearance. 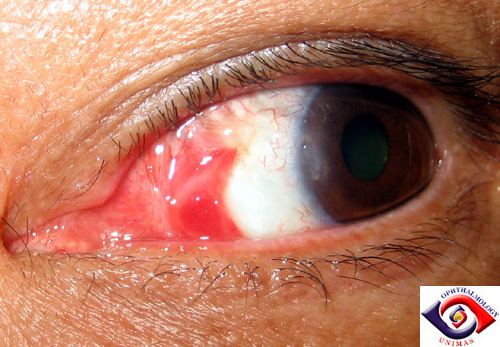 Patient 1: Rounded lesion at the edge of the excised conjunctiva. Patient 2. 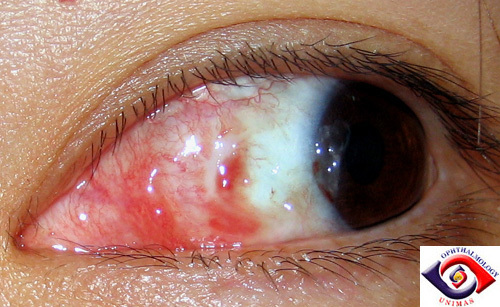 Raised red lesion on the sclera surface. Patient 3. 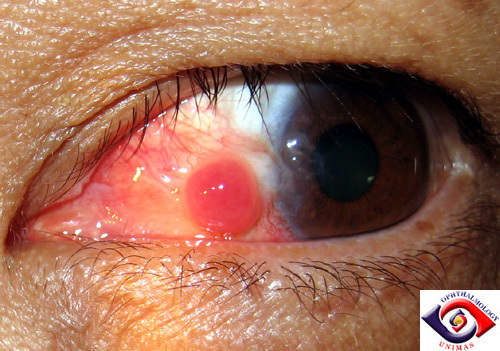 Reddish lesion under the excised edge of conjunctiva. Patient 4. 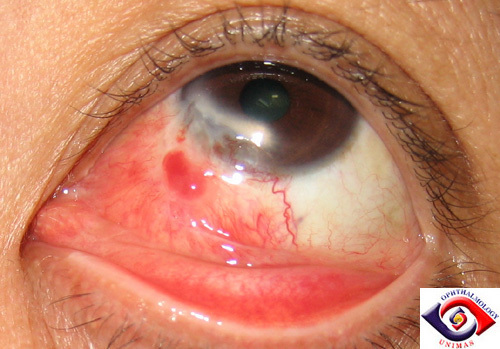 Red lesion under the edge of the excised conjunctiva. b. Suggest ways to reduce the occurrence of these problems?